1 Bedroom Flat For Sale in Glastonbury for Offers Over £115,000. This well maintained one bedroom ground floor retirement apartment briefly comprises; Entrance hall, living room with access out to the well tended communal gardens, kitchen with integrated appliances, modern updated shower room and double bedroom. 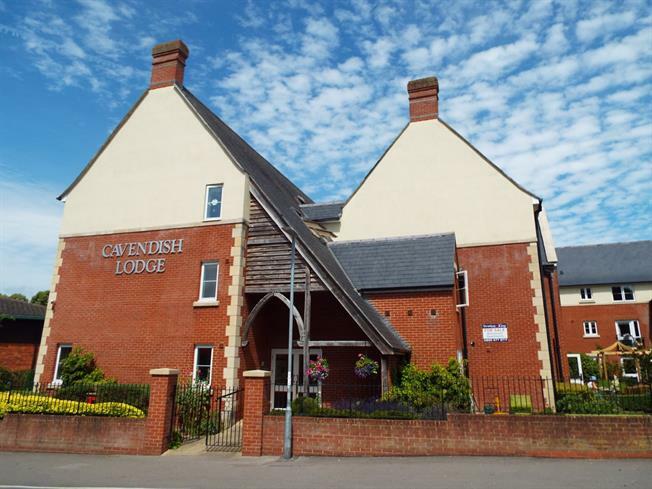 Cavendish Lodge offers a wide range of communal facilities including a communal residents lounge. The service charges and ground rent are half yearly at 869.54 (service charge) and 283.96 (ground rent) giving a total of 1153.50 yearly. The lease length is 125 Years from 1 May 2006. Wooden back double glazed door, opening onto the garden. Double glazed wood window overlooking the garden. Electric heater, carpeted flooring. Double glazed wood window overlooking the garden. Fitted and wall and base units, stainless steel sink, integrated, electric oven, integrated, electric hob, over hob extractor, integrated fridge, freezer. Double bedroom; double glazed wood window overlooking the garden. Electric heater, carpeted flooring, a built-in wardrobe.